The nasogastric tube or the NGT is passed by means of the nose and down through the nasopharynx and throat into the stomach. It is an adaptable tube made of elastic or plastic, and it has bidirectional potential. The insertion of an orogastric tube, helps in gaining access to the stomach and its contents. This enables the viewer to deplete gastric substances, decompress the stomach, obtain a specimen of the gastric substances, or introduce a passage into the GI tract. This enables the viewer to treat gastric immobility and bowel obstruction. In painful scenarios, orogastric tubes can be used to assist in the prevention of vomiting and aspiration, and for the assessment of gastrointestinal bleeding. Similarly, OG tubes can be used for enteral feeding initially. 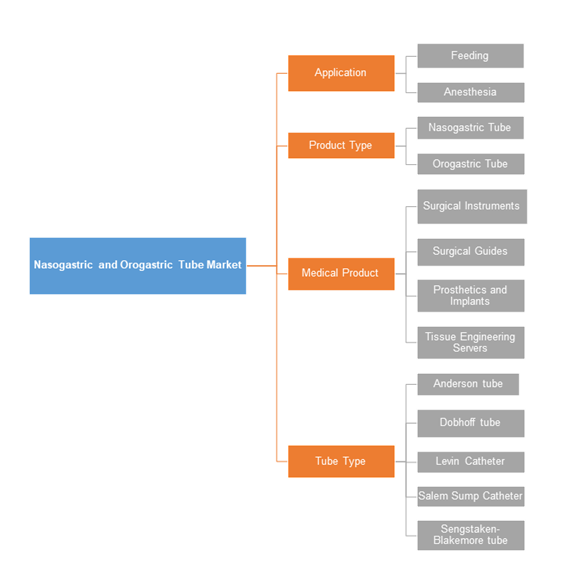 There has been an increasing demand for global nasogastric tube and orogastric tube market. Pediatric patients who are hospitalized consistently require a nasogastric tube or orogastric tube embedded for the medicinal purpose of controlling enteral feedings and medications, or for gastric decompression. The nasogastric tube and orogastric tube market was valued at US$ 624.6 Mn in 2017 and is expected to reach US$ 841.8 Mn by 2022. It can be used to remove the fillings of the stomach or to remove small solid objects and excessive or unwanted liquids, for example, poison, from the stomach. A nasogastric tube can likewise be used to place contents into the stomach. Thus, it can be used to put supplements specifically into the stomach when a patient is unable to eat food or drink from his/her mouth. 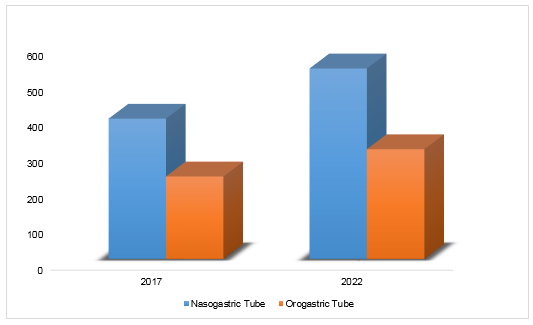 Global nasogastric tube and orogastric tube market is forecasted to witness an increase, which can be inferred from the developing geriatric population base, increasing pre-term births, and rising rates of chronic ailments. Likewise, increasing issues in the patients with respect to advanced diagnostic tests for early-stage diseases and cost-effective drugs presents lucrative growth opportunities for the nasogastric tube and orogastric tube industry. Besides, strict controls and accidental dislodgment of tubes (provoking incidental disabilities and deaths) are most likely going to deter the market growth. On the basis of product type, nasogastric tube, occupied the largest market share in 2017 and is expected to remain the most attractive market. The dominance of nasogastric tube is attributed to the fact that they are used for feeding and administering drugs and other oral agents. These tubes are widely used in the medical industry for the patients undergoing neck or facial surgeries. Rising number of surgeries have therefore led to high demand for these tubes in the global market. On the basis of geographical segmentation, the European Market, which represented the biggest share of the market, is set to be worth USD 342.0 million by 2025, owing to rising patient awareness levels, high medical services expenditure, growing geriatric population, and exceptionally advanced healthcare facilities. Moreover, execution of favorable controls and developing R&D for progression in product portfolio will increase the worldwide business development. 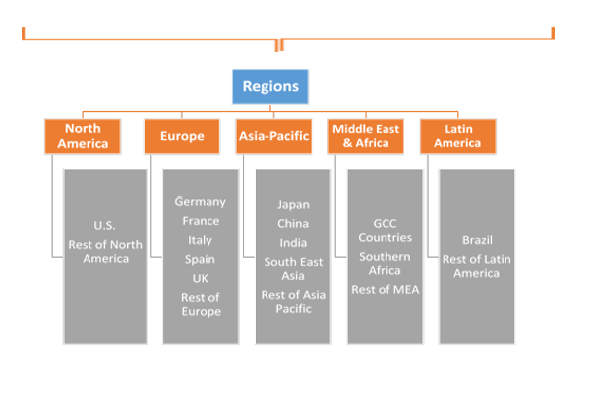 The Asia Pacific market, with growth imminent from China and India, is a major factor driving the growth of the market. The presence of a high geriatric population in Japan is moreover expected to raise lucrative business opportunities for the global nasogastric tube and orogastric tube market. The report provides both, subjective and quantitative research of the market, as well as integrates worthy insights into the rational scenario and favored development methods adopted by the key contenders. The report also offers extensive research on the key players in this market and detailed insights on the competitiveness of these players. The key business strategies such as Mergers & Acquisitions (M&A), affiliations, collaborations, and contracts adopted by the major players are also recognized and analyzed in the report. For each company, the report recognizes their manufacturing base, competitors, product type, application and specification, pricing, and gross margin. Some of the primary participants are B.Braun Melsungen, Brainlab, GE Healthcare, Medtronic, Stryker, Blue Belt Technologies, MAKO, Claron Technology, Karl Storz, Fiagon, Medacta International, Micromar, OrthAlign, Scopis, Zimmer, Olympus Medical Systems, Fujinon Corporation, Hoya Corporation, Given Imaging Ltd and Karl Storz GmbH & Co.KG among others. 14.3. C. R. Bard, Inc.
14.7. Guangdong Baihe Medical Technology Co., Ltd.
14.11. Pacific Hospital Supply Co. Ltd.